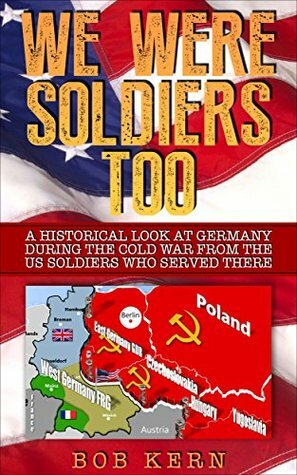 This nonfiction piece covering various stages of the Cold War, specifically the bases in Germany, tells the stories of 17 soldiers that served from 1960 to 1989. Each chapter of the text is dedicated to one of the soldiers and tells the story of their service in the context of what was happening in the world around them. Each chapter does a great job of telling how the soldiers came to enlist, what their training was like, and what was going on in their heads while they progressed. These stories produced some fascinating insight into the details of military life that don’t always make it onto the pages of the history textbooks. For example, one soldier shared how another soldier had swindled him out of some of the water in his canteen. After he had been asked to share some water, he asked the fellow soldier why he had already wasted his own supply, and the fellow soldier replied “he had plenty of water but he was saving it for later.” This book is full of little moments like this that deserve to be heard, and it makes for a great read. The bulk of the text is about the duties that these soldiers were given during their time of duty. The book has information that covers a wide range of duties, giving each chapter something unique from the one before it. One of the topics that is covered in a couple of the chapters is the “dog and pony show” that the troops would have to go through for whoever was the President of the United States at the time. It is interesting to see how the soldiers respond to the inconvenience that these high ranking individuals caused during their service. 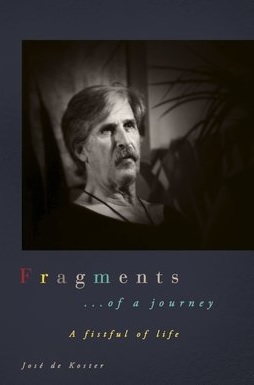 The chapters, however, tell the stories in the third person. Without any personal statements from the soldiers, themselves, the reader is left to wonder exactly who these people were. It makes the stories a little less personal, which is disappointing. However, the writing is strong enough and the stories are potent enough to make up for this point of view choice. Still, I wonder if the stories would have had a larger impact if there were some more direct quotations and conversations included in the text. Overall, these stories are full of the details that bring humanity to the wars that fill our world. Each chapter brings to life the tiny details that kids don’t learn about in school, and it gives the reader an opportunity to see things from the point of view of one pair of eyes in a scene where hundreds of thousands had been. The author states that there is another book coming, one that focuses on South Korea. I’m looking forward to the details that this volume provides, even if they could be delivered with a bit more personality. Posted on September 16, 2016, in Book Reviews, Three Stars and tagged amazon, amazon books, author, book, book review, books, cold war, ebook, ebooks, fighting, germany, kindle, military, non fiction, nonfiction, Poland, publishing, reading, review, reviews, russia, short stories, solider, stories, troops, us, ussr, war, we were soldiers too, writing. Bookmark the permalink. 1 Comment. Good to see what was happening to “the little man” on the “battle front” AS ORDERED BY THE BIG GUYS AN OCEAN AWAY.